How’s that for a phone call opening? Mrs. Webster feels right at home with Sally Anderson, even though she has never talked to her before. The Automatic Call Director (ACD) first tried to assign this call to Robin Baumgartner, who is Mrs. Webster’s regular gift counselor, but Robin is on leave this week. But Sally Anderson can talk to Mrs. Webster like an old friend, because she had Mrs. Webster’s entire customer record in front of her before she even took the call. Scores of modern companies are now getting the benefit of modern database marketing techniques that link Caller-ID, and ACD, with a modern customer marketing database into a system that provides customers with recognition and personal services. It is being used for consumers and especially for business to business situations. Merchants in an earlier day, like the old corner grocers, knew their customers by sight and by name. They greeted them at the door. They built their business on the loyalty of these customers who they knew and who knew them. Today most businesses are so large and have so many customers that this type of personal recognition has become very difficult. Customer loyalty has declined as a result. In the past fifteen years, however, computers have become extremely powerful, and inexpensive. It is possible today, economically, to hold in a computer the kind of information that the old corner grocers used to keep in their heads, and to use this information to provide recognition and personal attention to each customer. The customer service representatives at L. L. Bean, for example, seem to know you intimately when you call. They know what you bought last, and are in a position to make suggestions for future purchases. L. L. Bean is an example of a modern customer recognition system. 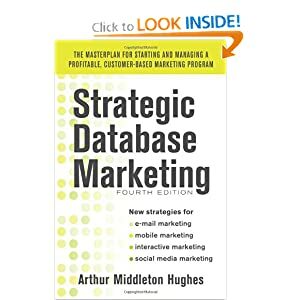 A database that contains customer names, addresses, phone numbers, and purchase history. It also contains personal information specific to each customer, such as personal preferences, and the events that triggered each purchase (granddaughter’s birthday, for example). A personal customer service representative assigned to each customer. Caller-ID which is electronically connected to the database. When a customer calls, the calling number is routed to a computer that searches the database for the customer with that number. If the call is from a company phone, the database will list all the customers at that number so that the CSR can choose the correct one. If the call is from a new person, a new database record will automatically be created with the phone number inserted, ready for the CSR to enter the rest of the data. An intelligent ACD which routes calls to the CSR assigned to that customer (based on the phone number) or to an available agent if the CSR is not available or not known. Sophisticated CSR software that puts on the screen the type of information that the CSR needs to know to make the call satisfying to the customer and profitable for the company. In this case, the CSR sees a window that suggests she mention the red sweater ordered for Mary Webster’s granddaughter’s birthday last October 12th. The window is automatically updated after each call. Many companies today have built a customer database that has relevant information. Few of them, however, have learned how to connect this database to their telephone system in the way described here. It is interesting that many of those who have looked into installing such a system have, in most cases, done so for the wrong reason. They do so to cut costs, by saving CSR time on the phone. Having the customer’s record already on the screen when the call is taken may save twenty seconds or more on the average call. To decide whether to install the required hardware and software, companies tend to attempt to justify the system by pointing to these costs saved. Unfortunately, the cost benefit analysis, when done in this way, seldom demonstrates the required profitable savings. How much will our customers appreciate having our CSRs recognize them, and be completely familiar with them, their purchase history, and personal preferences? How will that appreciation affect customer retention and loyalty? How will it affect repeat sales, cross selling, upselling? How will it affect referrals? These are the important questions. They can be quantified. They can help to justify the system. To these questions, you can add the minor savings involved in reducing the length of the average call. Once such a system is in place, there are other benefits possible. It can be used in the case of call abandonment. Visualize Mrs. Webster, so annoyed at waiting for Crafthouse to answer their phone that she hung up. Then she gets this call from Sally Anderson. Can Sally turn things around? Probably. In fact, this call may help to retain a valuable customer. Caller ID Hardware and Software. For a customer service operation of between 20,000 and 100,000, the hardware and software should not run more than about $30,000. CSR Screen Software. Here we would need to develop windows that would highlight for the CSR the material most useful in talking to each customer. This depends, of course, on the complexity of the customer database. The cost of developing the software, spread over a year, comes to just a few cents per customer. Caller ID Charges from the telephone company. This comes to about one cent per incoming call.